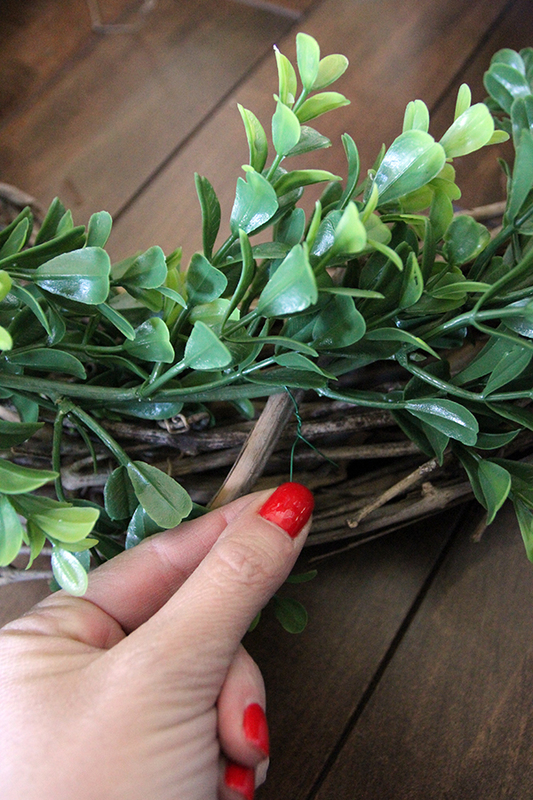 DIY Boxwood Flower Box Wreath For Spring! 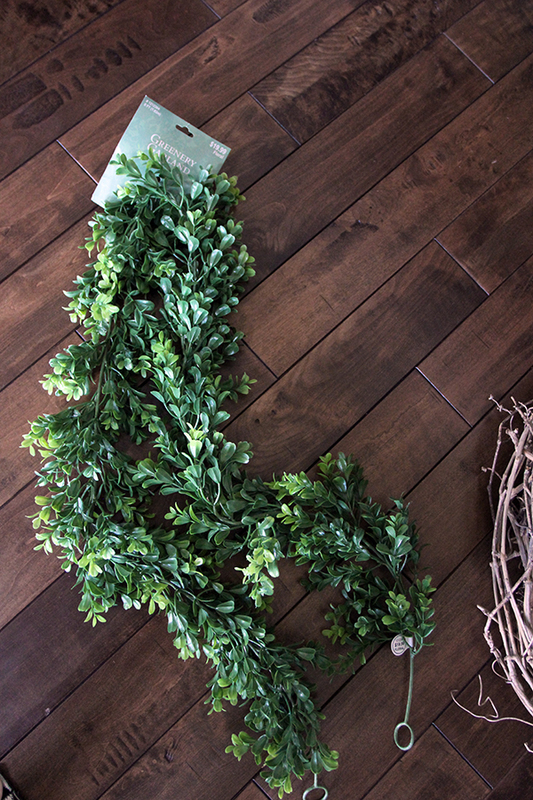 For the perfect boxwood look, you’ll need a 6-foot length of this greenery garland from Hobby Lobby. 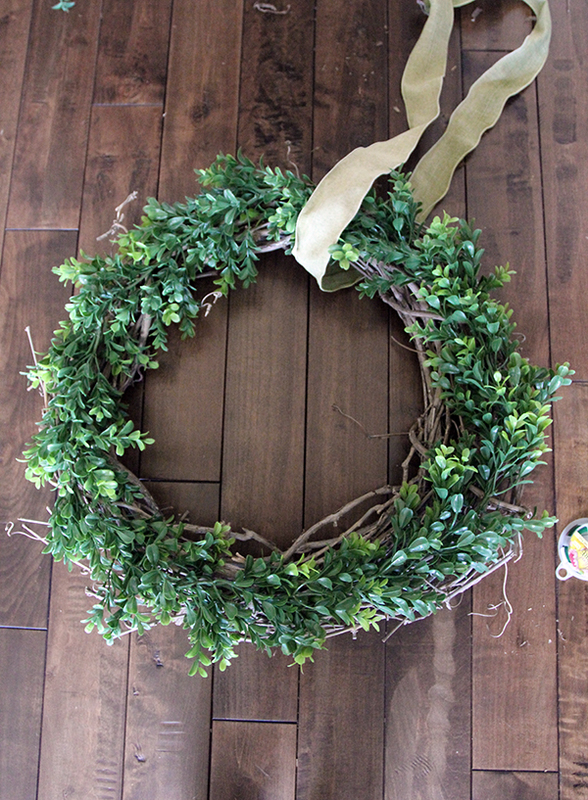 It’s the perfect length for a 24″ wreath! 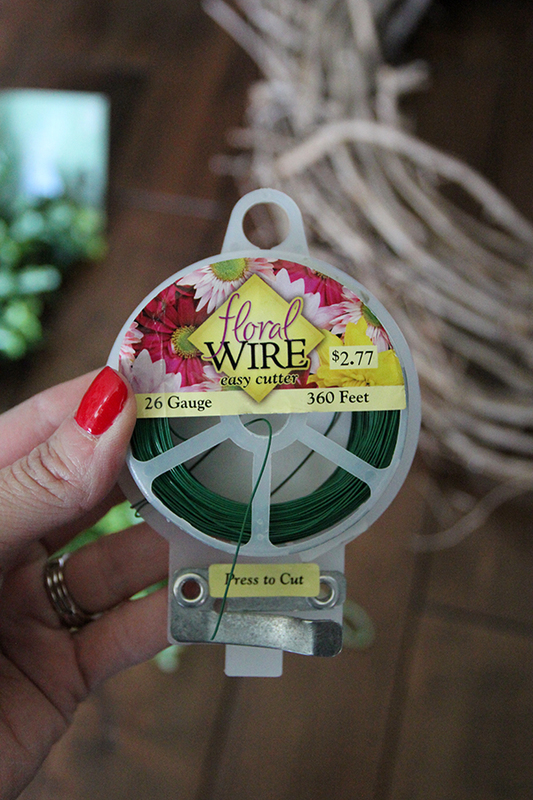 Just simply lay it on the top and wire it on every 6 inches or so with a little floral wire. 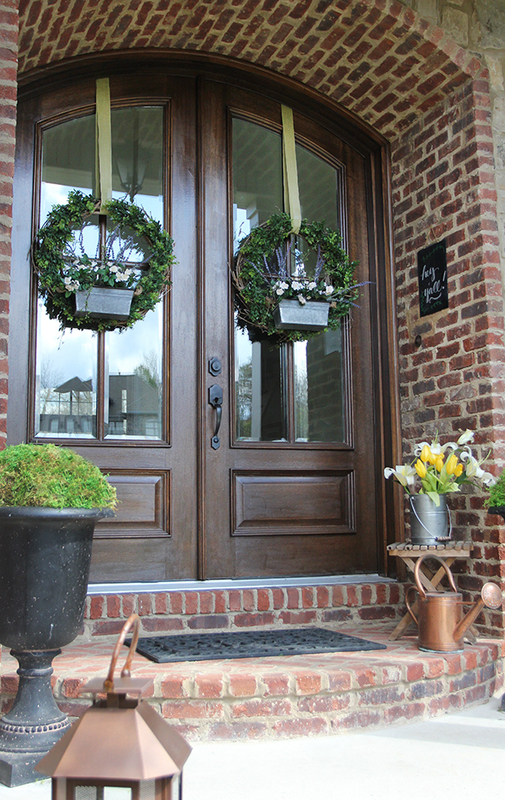 That’s it for the basic boxwood! So easy, right? 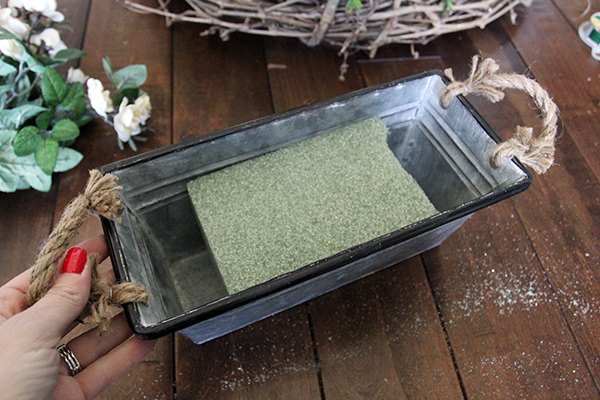 Next, you need a container for your flower box, as well as some floral foam and faux flowers. 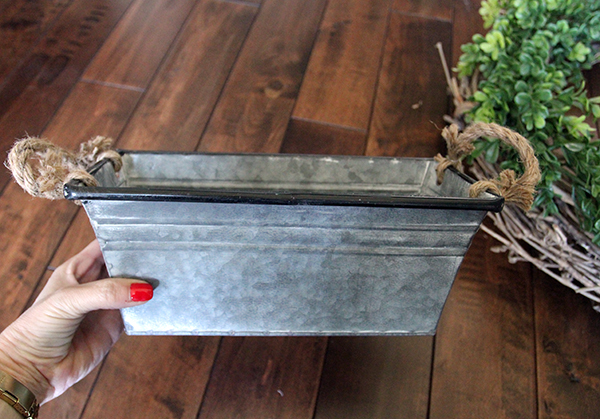 I chose this metal box with jute handles and it was perfect! 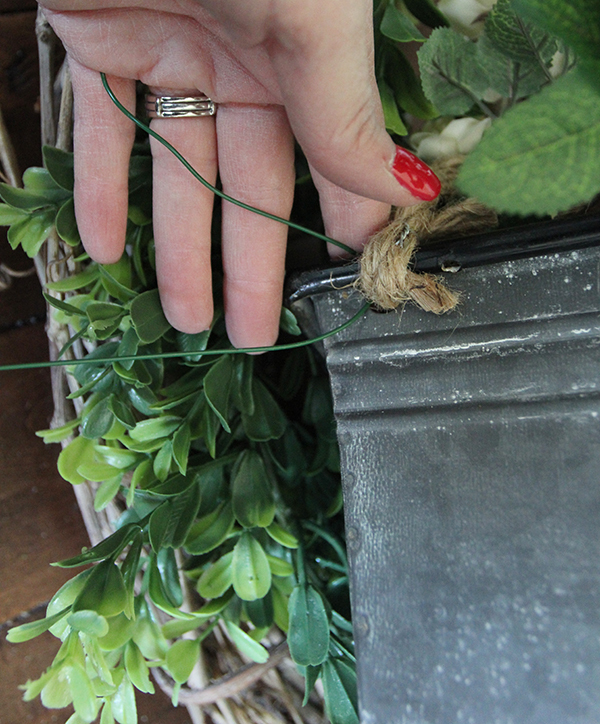 Keep in mind you’ll need to attach it to the wreath, so it’s good to choose a container that you can attach easily. The holes for the handles worked perfectly for this one! 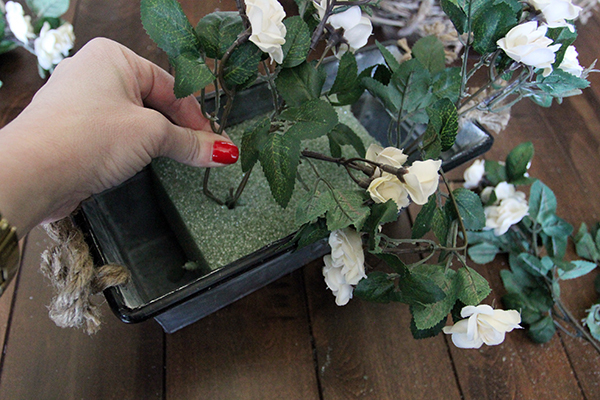 To fill the box, just add some floral foam and flowers! 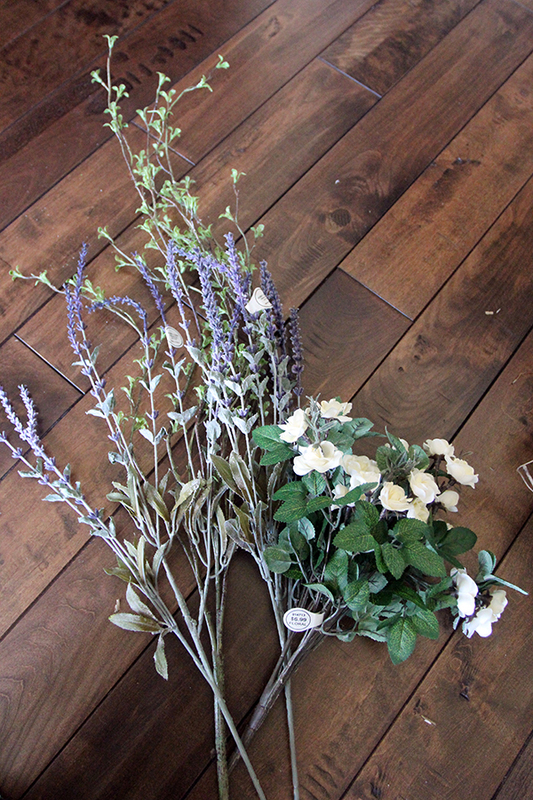 I chose some mini white roses, some lavender, and a little green vine. 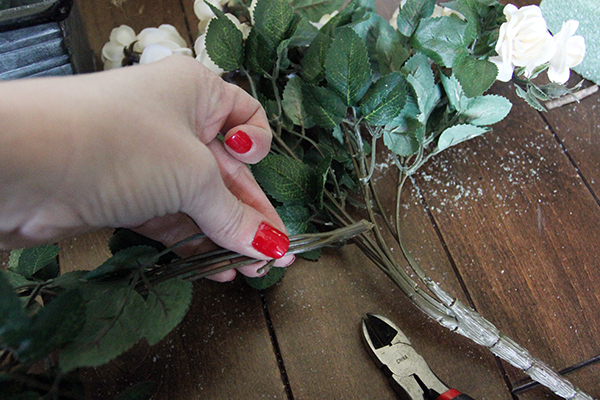 Use wire cutters to separate the stems, then just poke them into the foam, arranging the flowers to flow in a natural way. 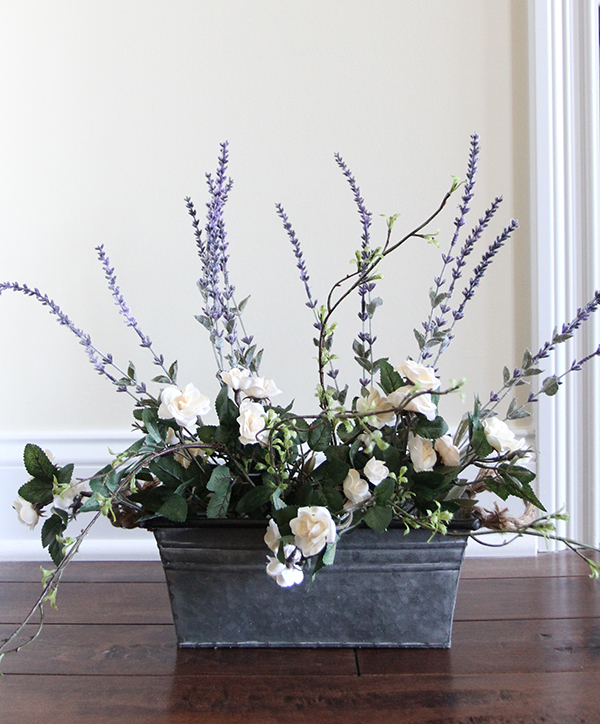 This arrangement would even look cute standing alone! 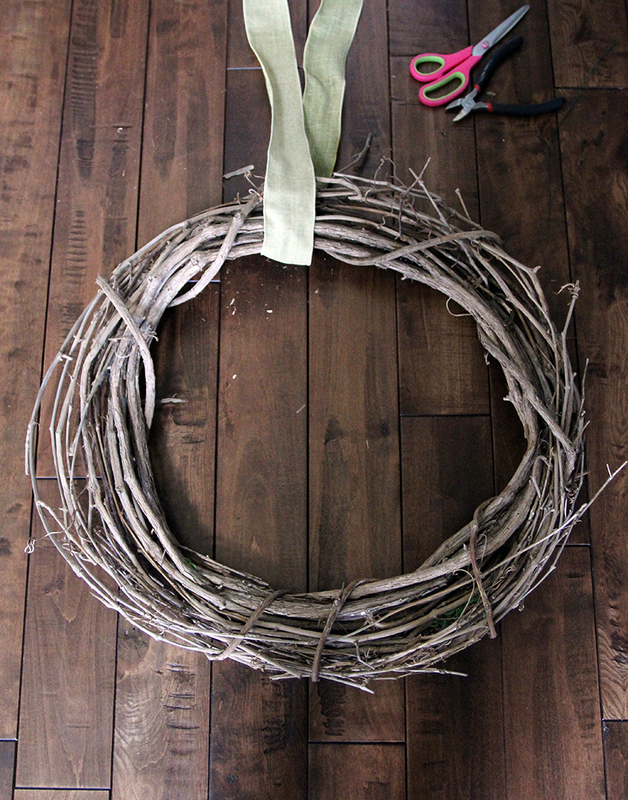 To attach it to the wreath, use a heavier gauge wire or strong twine. 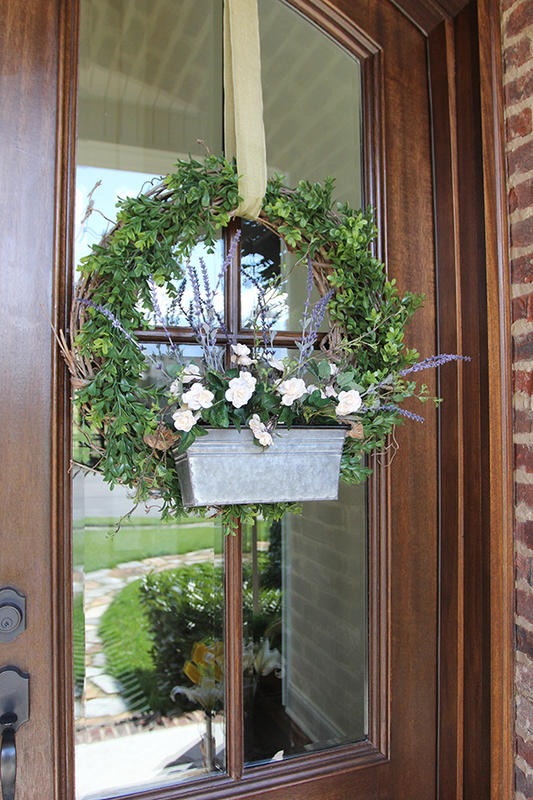 Then, hang it on the door to welcome Spring! 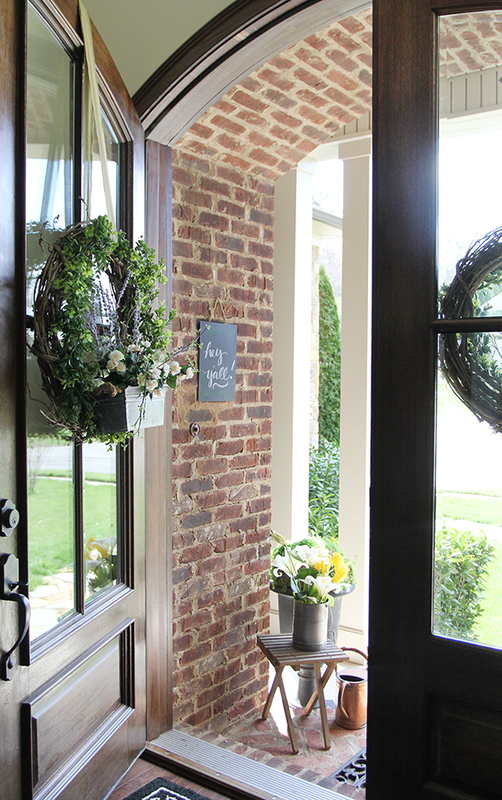 This is a simple wreath to make , but it makes a big statement for your door. 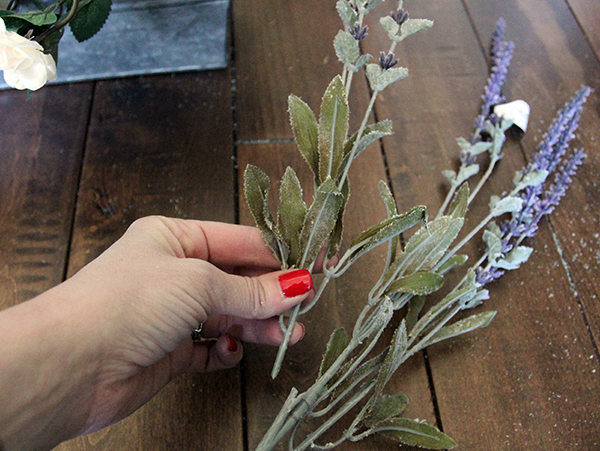 Hang it over a mantel or on a wall for a great look indoors as well! 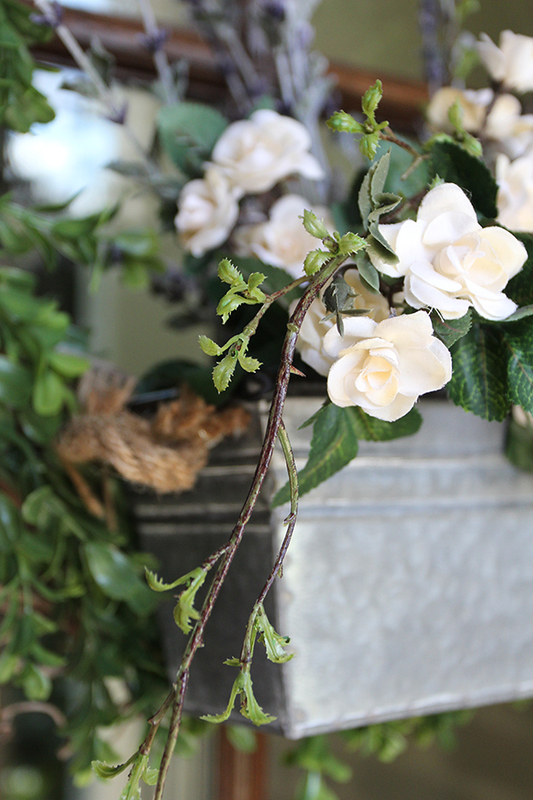 You can find all these supplies at Hobby Lobby, plus a huge variety of floral choices to suit your own style as well. 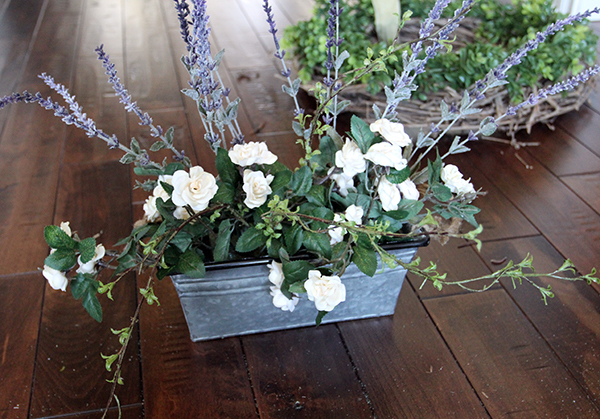 The soft whites, greens, and lavender are great for the farmhouse style I was going for this year, and you have to look closely to see that these are faux! I hope this gives you a little inspiration to spark your own creativity. 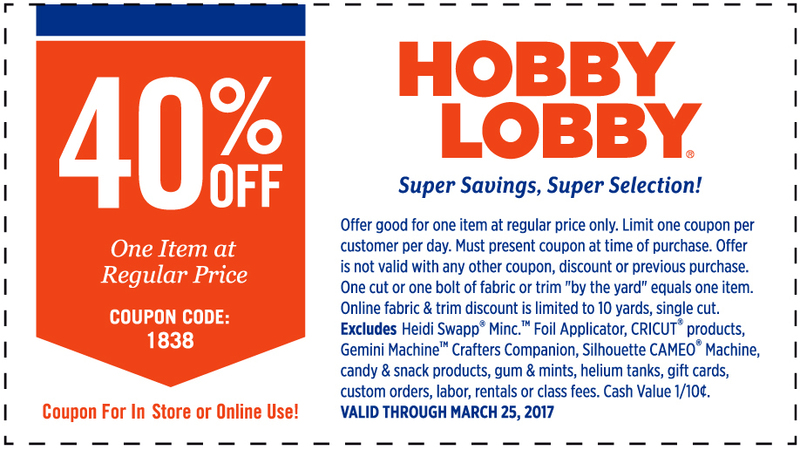 And before you head off to Hobby Lobby, don’t forget about the 40% off coupon, always available to use on a regular priced item! 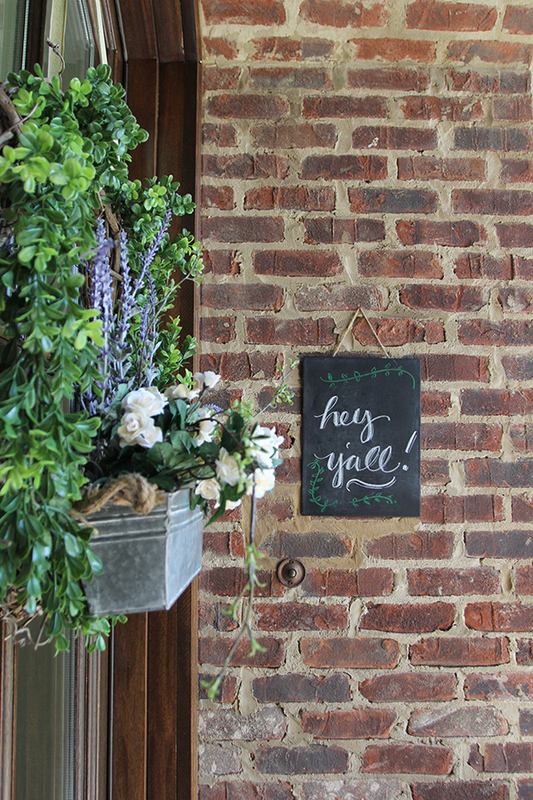 This entry was posted in Uncategorized and tagged Crafting, Front Porch, Outdoor Decorating, Outdoor Inspiration, Spring, Wreaths. Bookmark the permalink. Follow any comments here with the RSS feed for this post. Post a comment or leave a trackback: Trackback URL. 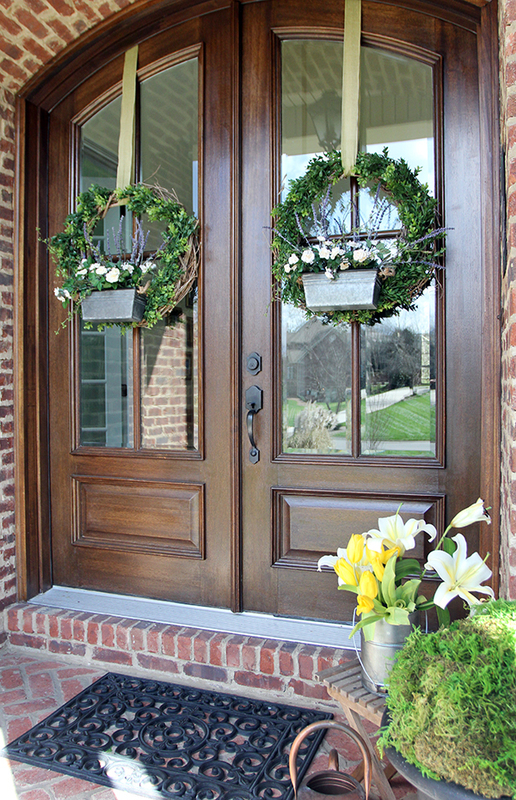 I hope you don’t mind my question, where did you purchase your front door? 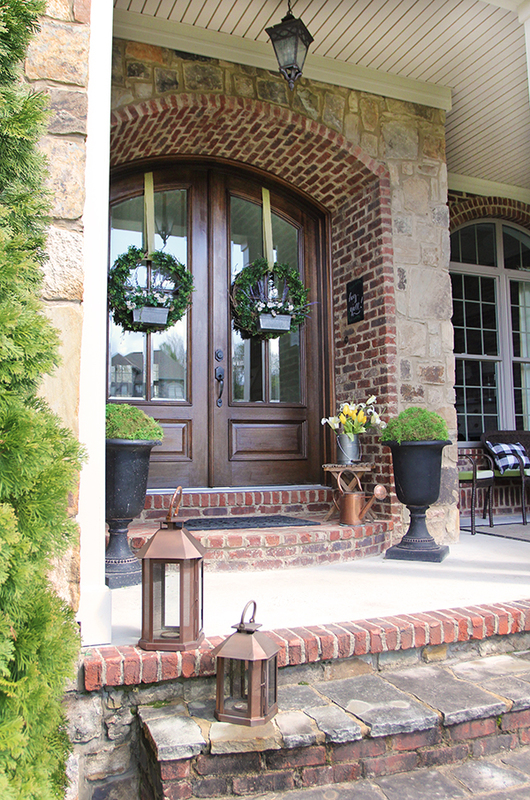 We are currently building our home and that is the exact style I am looking for. Thanks in advance. I don’t mind at all! We got them at Surplus Warehouse in Greeneville SC & I believe they’re still sold there. There are other locations as well!